Drivers without insurance have been a problem in Florida for some time, and Hialeah police announced recently that they would be cracking down on motorists who do not obey insurance coverage laws. Experts say that the average Florida driver pays about $400 extra a year due to drivers who fail to get any insurance at all, and police point out that drivers without insurance or valid licenses are often behind hit and run accidents in Hialeah and other communities. Last month, police in the community checked the validity of insurance cards when pulling people over for traffic violations. It’s not something that police often do, since it requires calling insurance companies to verify whether a driver’s insurance policy is valid and up-to-date. The checks revealed a number of drivers without insurance and some without valid licenses. One man handed police fake insurance information and admitted that he purchased his insurance card in a parking lot. Police say that using fake insurance documents is not uncommon. Drivers can download the forms from the internet and print the false insurance cards at home. If a police officer asks to see the information or if the driver is in an accident, the insurance information looks real enough and it’s not until an injured driver tries to file a claim that the deception is obvious. Showing fake insurance information to police leads to arrest. It is a felony that can lead up to five years of jail time. Some drivers fail to get fake insurance cards but don’t have insurance or allow their policies to lapse. It is illegal to drive in Florida without proper insurance, including Personal Injury Protection (PIP) coverage, but thousands of drivers do it every day. When someone drives with a fake insurance card or no insurance, they are likely to cause the most injury to someone they injure with their car. That person will not have an insurance company to turn to for benefits and compensation. Even in cases where drivers have coverage, they may not have enough coverage to pay for a serious accident. A multiple-vehicle collision or a crash resulting in permanent or fatal injuries can create tens of thousands of dollars in property damage as well as millions of dollars in medical and other costs for victims. Yet, many drivers pay for only the minimum coverage due to the high costs of premiums. In an accident, this coverage may not be enough to cover all damages. Since there are so many uninsured drivers on the road in Florida and many drivers without adequate insurance, experts recommend that all drivers carry uninsured or underinsured driver coverage on their policies. This optional coverage will pay for your injuries if you are in a collision with a driver who is driving without adequate insurance. 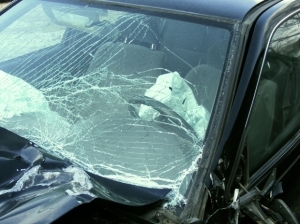 Have you been injured by an uninsured or underinsured driver? Contact Flaxman Law Group to schedule a free case analysis. Our law firm has worked with thousands of personal injury plaintiffs and our attorneys have more than six decades of trial experience. If you have questions, we’d like to address your concerns. Contact Flaxman Law Group today for a free case review.